Let the sunshine in your home with these spring farmhouse decor ideas. 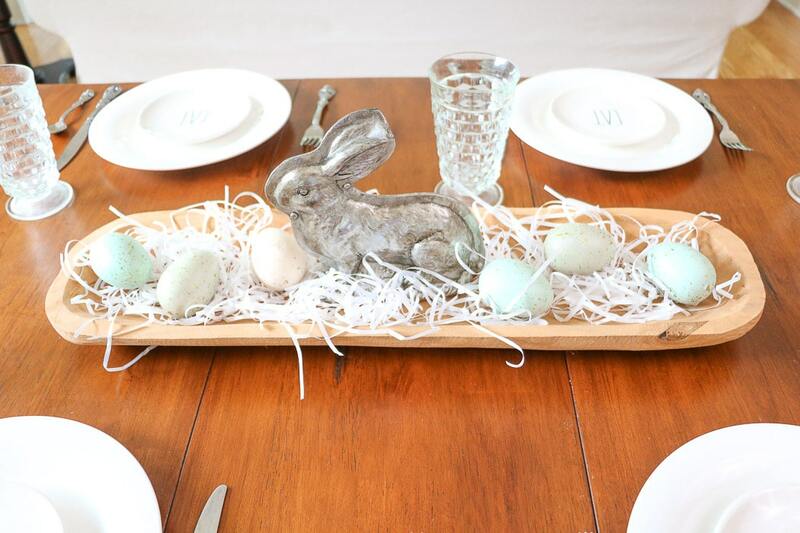 From your mantel to your centerpieces these spring DIY decor ideas will brighten up your home. Plus a Spring DIY blog hop to make the inspiration go on and on. 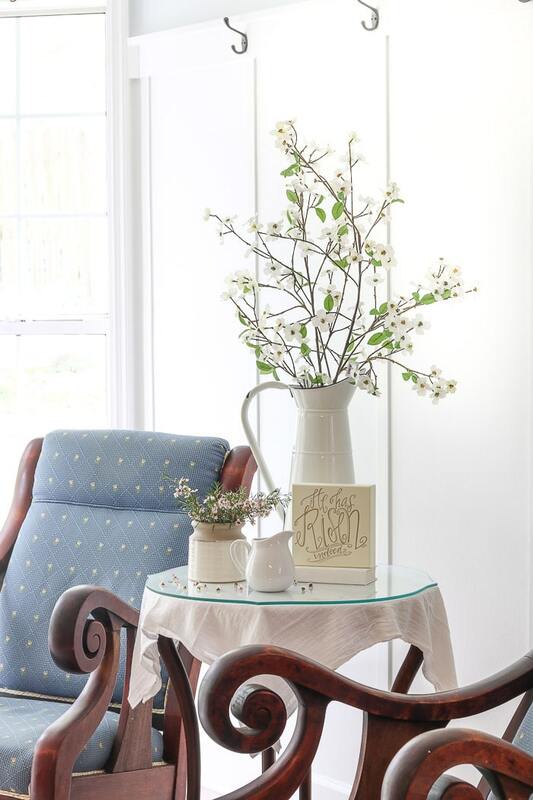 What inspires you to bring out spring farmhouse decor? Is it when the weather gets warm and color starts coming back to the earth? 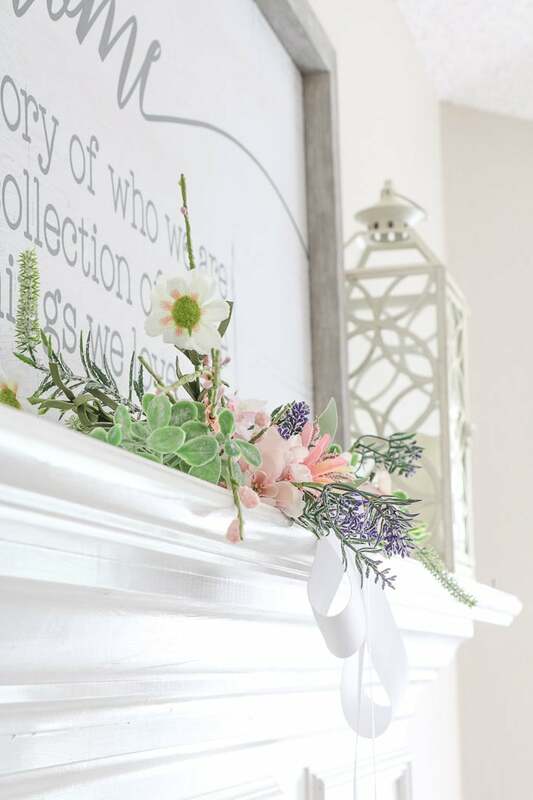 I burst out into spring DIY decor projects like my spring front porch ideas about this time of year. 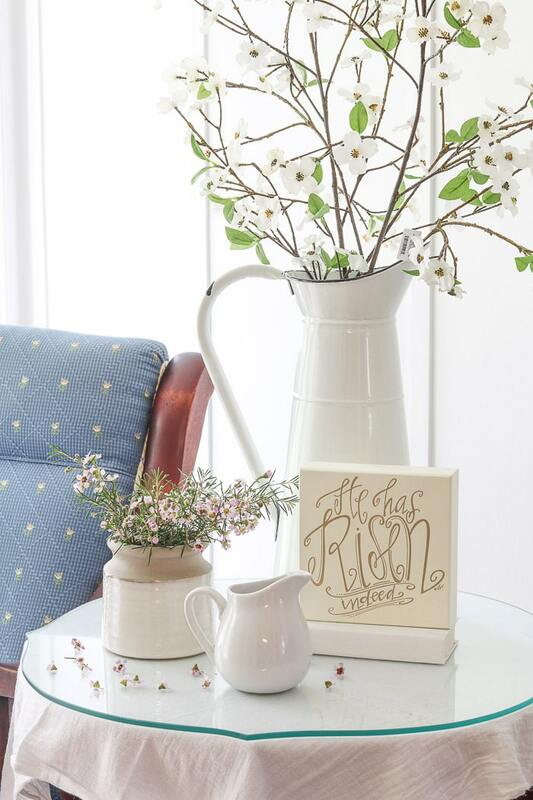 And my friend Jen at Noting Grace also feels the spring decor bug right now. 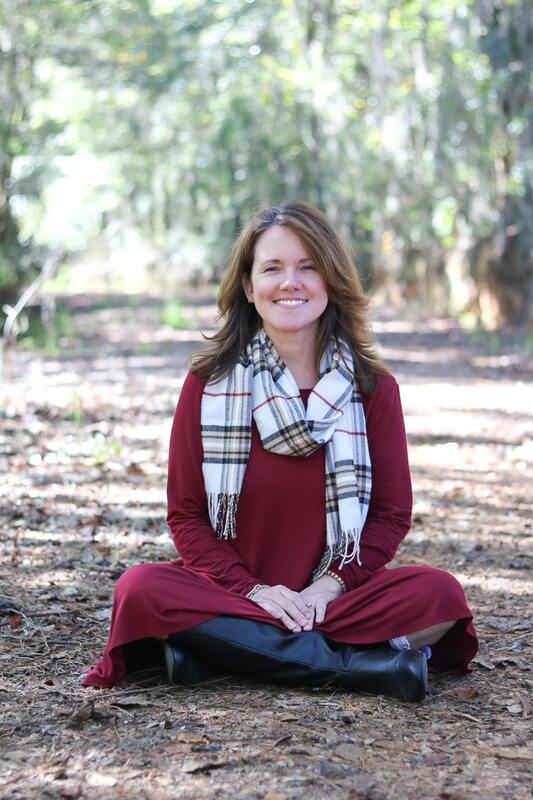 Jen has the spring fever so until she pulled together a wonderful blog hop for you to get more inspirations. So you may be here from Twelve on Main and at the end, you will have a link to the next house for more spring decor inspiration. If you know me you know that I am not a fan of winter so when spring comes it brings out the decorator in me. And I love love love to share ideas, how to projects and inspiration so let’s hop right into these ideas for spring and Easter. Every mantel should get a refresh in the spring. 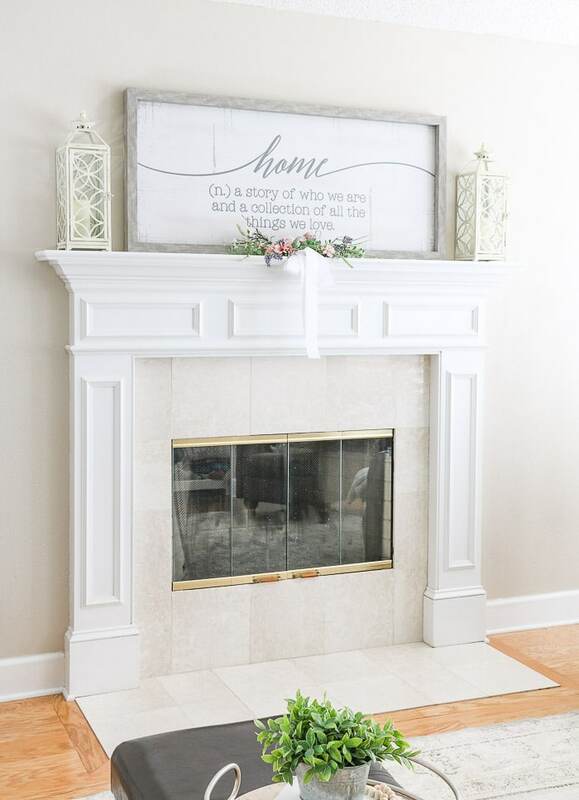 There are many spring mantel decorating ideas but here is one that is simple and easy. Begin with finding a piece of art that can be used throughout the year. This home definition piece from Kirkland’s was perfect for any season. 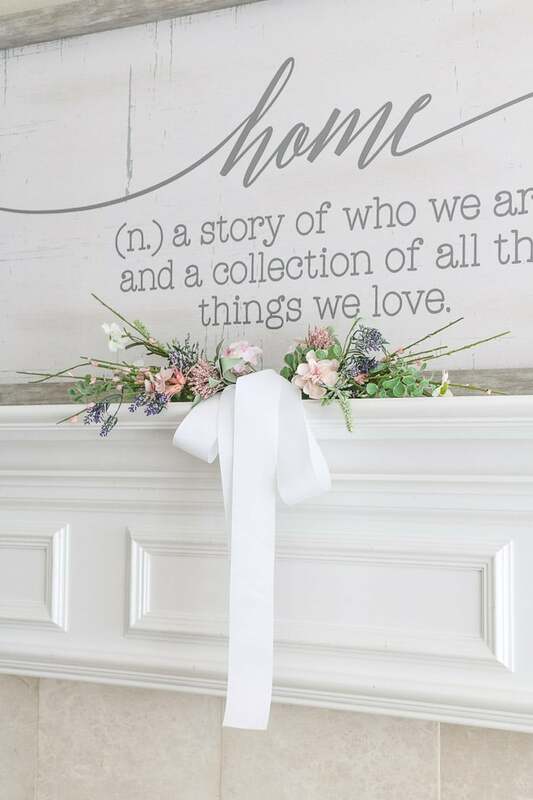 In fact, any word art over your mantel adds a timeless design. Then simply add some lanterns or tall candles on the side for a symmetrical look. 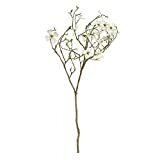 And last find some spring sprigs like these and lay them on opposite sides of each other and add a big white floppy bow. Now that we have the mantel completed let’s jump to my foyer where I love to give you bench ideas. It is always good to give your entryway a little spring home decor. 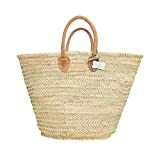 It is the second place that welcomes guests and adds to the hint of what is inside your home. We love bunnies around here, in fact, we have a pet bunny named Eugene who hangs around our house. 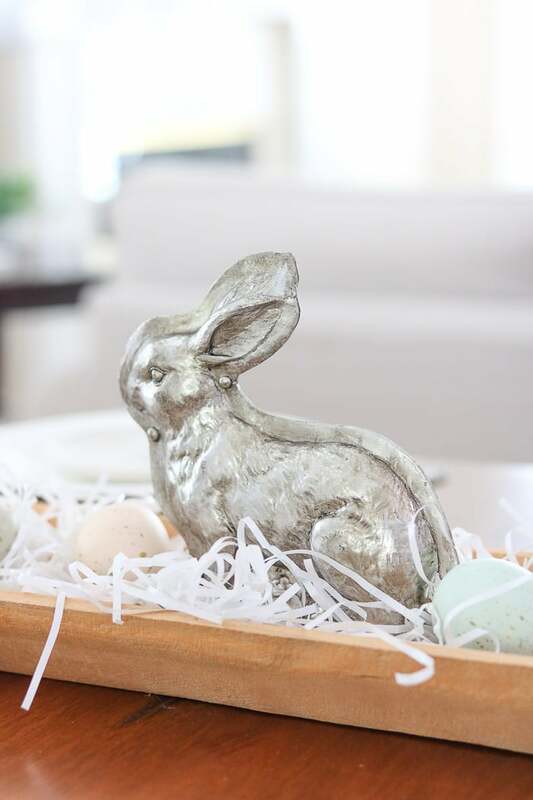 So, we naturally add bunnies to our spring home decor. 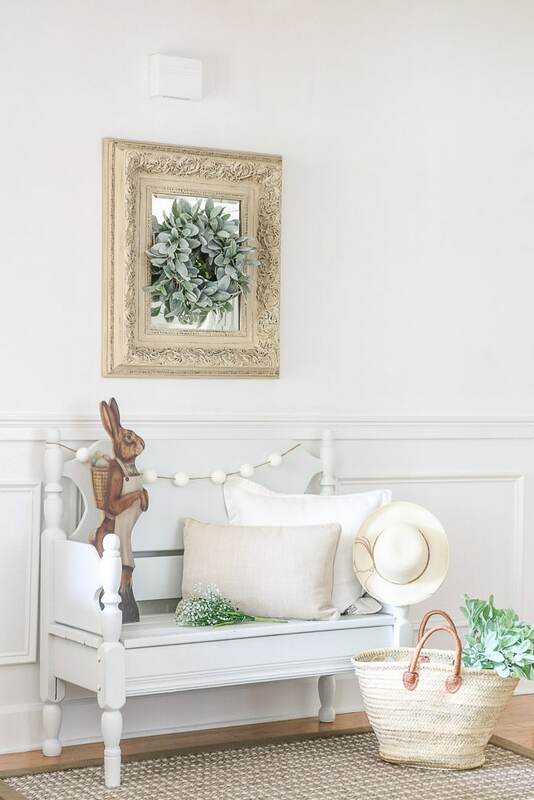 To decorate your bench add something tall to one side like this vintage rabbit. You can use a tall piece of art here or a statue. Think layers when you are working on decorating your bench. 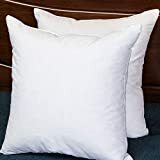 Start with the top layer which is my garland and bunny, then come down to another layer which is my pillows and hat. Then the bottom layer which is the floor. You can put just about anything on the floor. 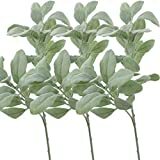 I used my French market basket and filled it with lambs ear plants. Now that your entryway is finished let’s go to my kitchen sitting area. 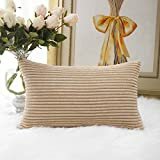 Adding a little bit of spring decor here and there is also a great idea. I like to go all out and transform one or two areas but then sprinkle a few things here and there in other places. In my kitchen sitting area, I decided to do more layering on my side table. So, let’s talk about the simple changes you can make to get a more impressive DIY spring decor look. Like on the bench thinking about your accessorizing in layers or heights. 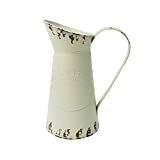 Here we have a tall french water pitcher holding some spring flowers from Target. 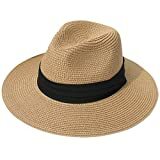 Then you come down a layer and you will find three accessories making up more layers. Now let’s go to our informal dining table for a Spring centerpiece without flowers and more. Our table in the main living area is where we do everything from eating to homework to DIY projects. For a table that has this much traffic, it is good to create a centerpiece that is is easy to move. Spring centerpieces without flowers are much easier to maintain until Easter is over which is why I wanted to create a DIY idea that anyone can use. Begin with a dough bowl, tray or anything that is flat on the bottom. Next, find a tall piece to go in the middle. I found this rabbit mold at TJ Maxx and fell in love with his vintage vibe. Next spring some Easter grass around him and top the grass off with eggs. And there you have an easy Spring centerpiece that is easy to move whenever you need the whole table for project, food and such. Last on my list is to add some spring decor to your chalkboard if you have one. Find a design on Pinterest or Google to recreate on your board. 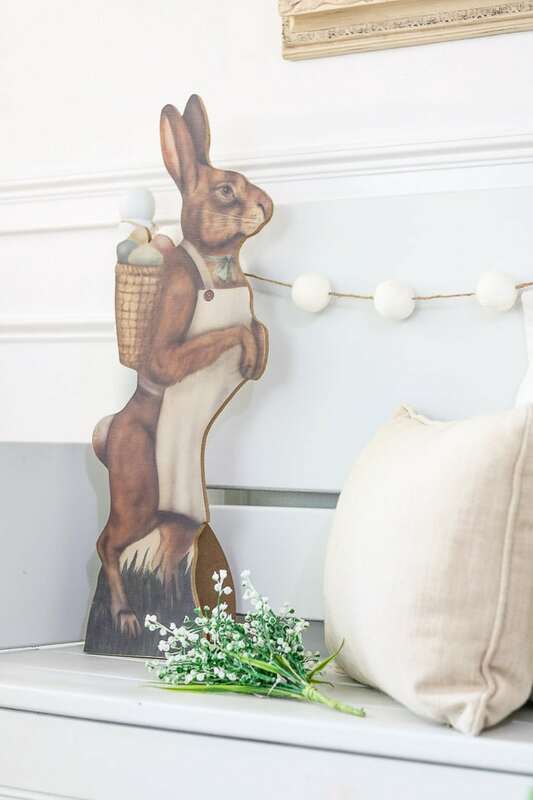 We loved this bunny design so much so my daughter Hannah drew it out on our vintage chalkboard. 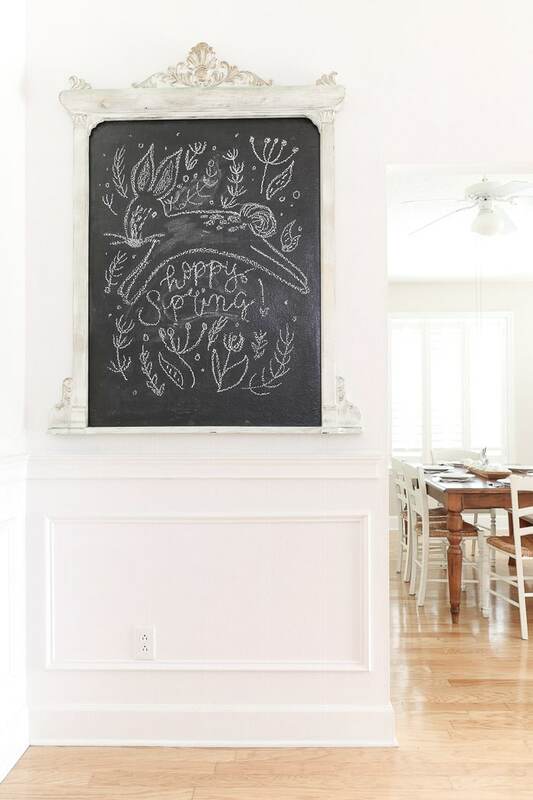 Keeping a chalkboard around your home is a great inexpensive way to add art and change it by seasons or holidays. Well, now that everything is blooming outside I feel like the inside of our home is blooming too. I hope these spring DIY ideas will help you bring some sunshine to your home too. 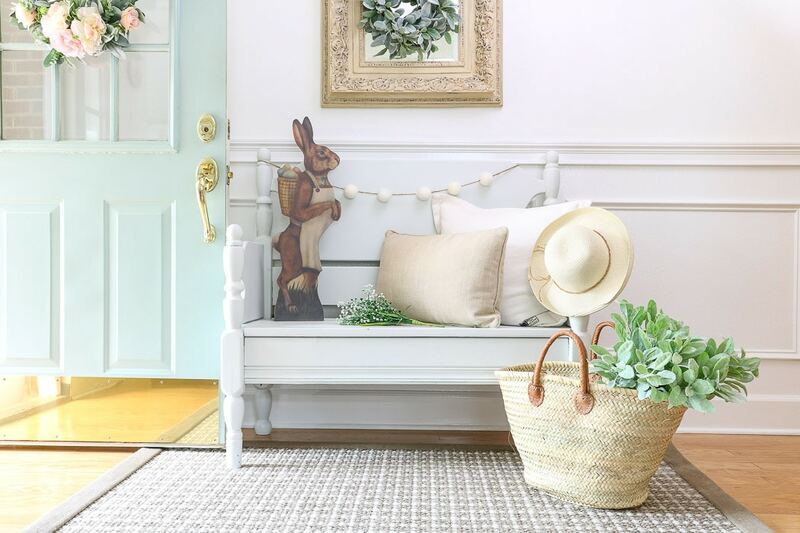 And if you want more inspiration you will love our Spring front porch decorating ideas from other bloggers. 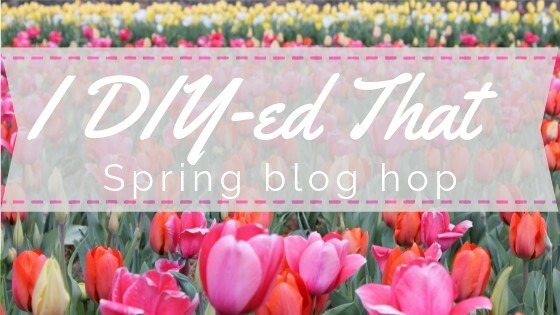 Now don’t forget about the Spring DIY blog hop. The next house to visit is Repurpose and Upcycled. You will love her DIY project for Spring! 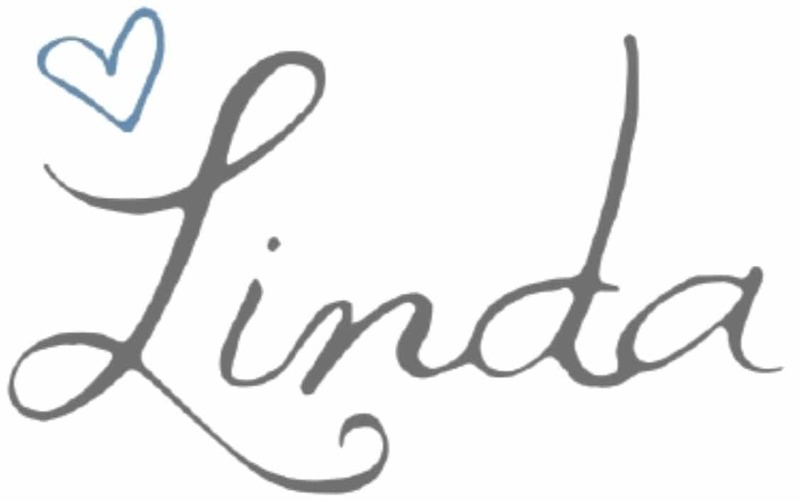 Linda – you home is so beautiful! 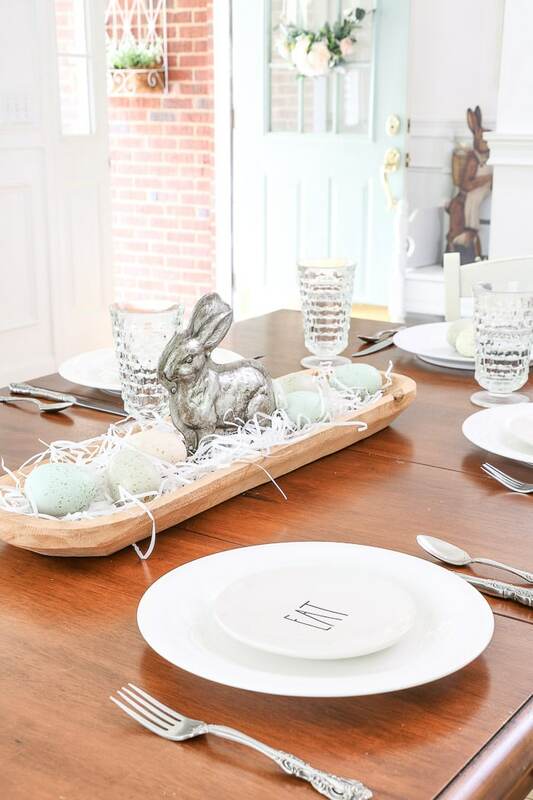 I love those cute rabbits – Perfect for Spring! Thank you so much for joining us for I DIYed that! Thank you for inviting me Jen! I have really enjoyed getting to know you and being apart of a great group.